BISA RFID Middleware is all an organization needs to deploy its RFID in the majority of applications. filter and route raw RFID data from individual readers. reports for operation and management purposes. manage all readers and antennae in the premises for all equipment from a variety of vendors. maximize the efficiency of the RFID system. no "Dirty data "can enter the network thus improving network efficiency. types of organizations, both large and small, This unique function can also be used as a stand alone application. various hardware vendors offering maximum flexibility to the end user. replacement of any hardware will have no impact or require no changes to the existing middleware software. The Middleware investment is well protected. 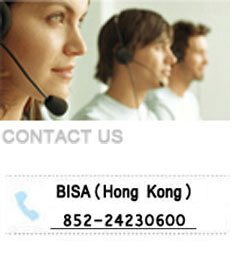 BISA RFID Middleware is designed to comply with different frequency environments . Middleware is capable of retrieving real-time data remotely from multiple sites. allowing management to make real-time critical decisions on the spot. User interfaces are available in different languages enabling it to be adapted according to locality. stock location and other related information. assets or documents, at any location, at any time. The function also offers detailed historical tracing information. enabling users to log on any network worldwide. users to access the system via handheld mobile devices creating a powerful and portable client environment. in a clearly defined reporting format. facilitates smooth and effortless data transformation and integration with various ERP systems.